A picture does not give this box justice, it is absolutely stunning. 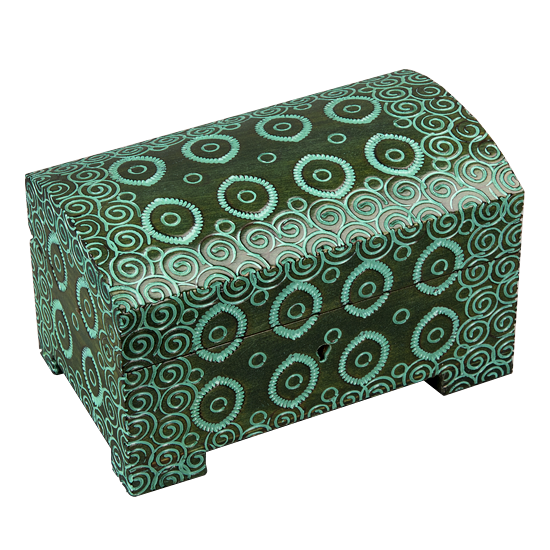 Dark green with bright green acrylic in the grooves makes for a faux patina look. We like to think it was stolen from underwater Atlantis.